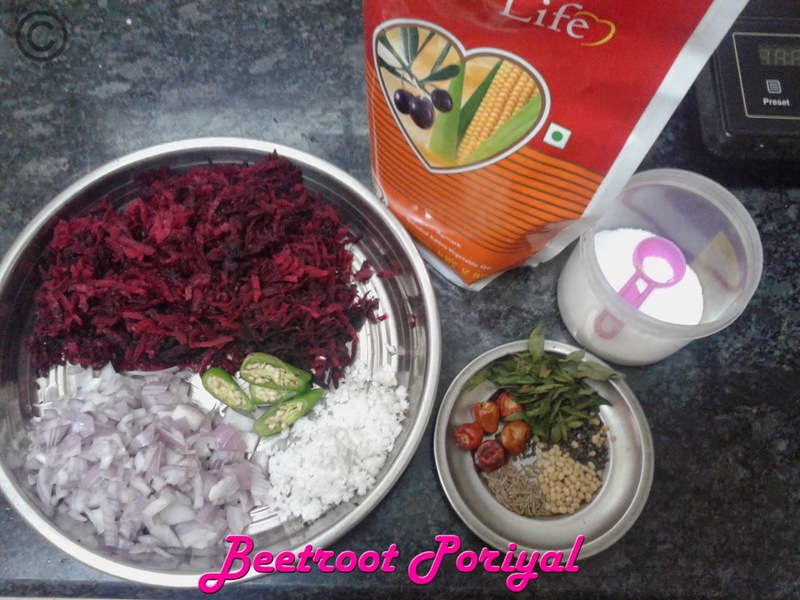 Hi friends, here is the simple stir fry but healthy one. 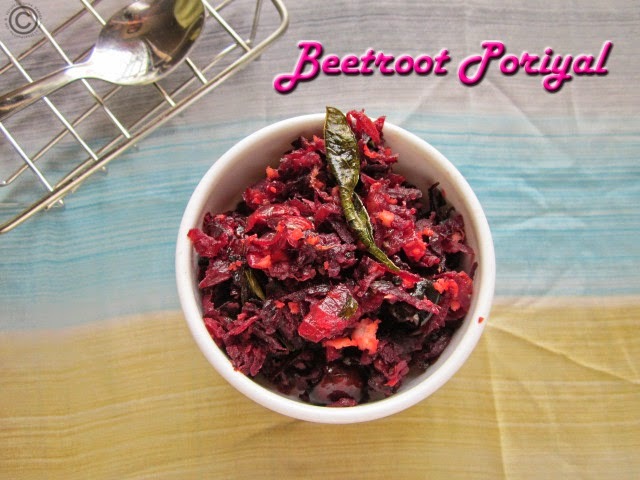 Kids will love it a lot because of the color and sweet taste. 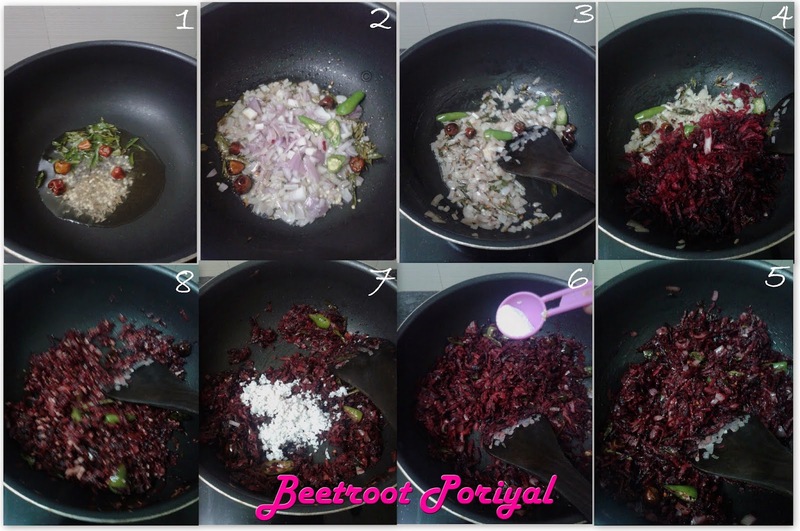 Check out my beetroot poori, beetroot rice, beetroot pakoda and vegetable cutlet and beetroot kesari and enjoy your Sunday. Heat oil in pan; add cumin, mustard and urad dal wait for sputter. Add dry red chillies, green chillies and curry leaves sauté it once. Following by add chopped onion and sauté it till translucent. 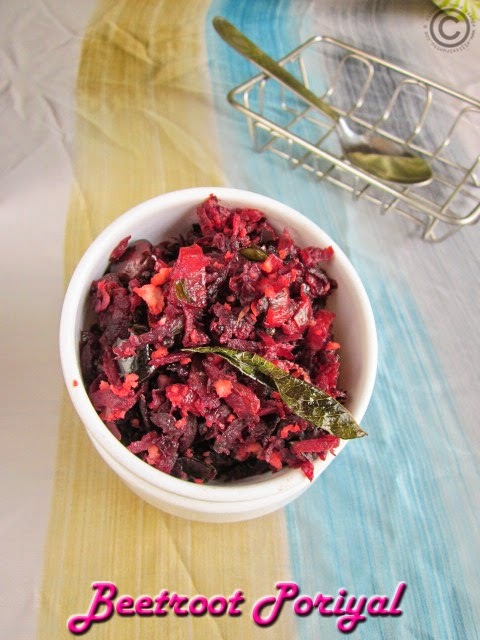 Now add grated beetroot and sauté it for 5 minutes on high flame and then keep the flame on low allow cooking for other 5-7 minutes. 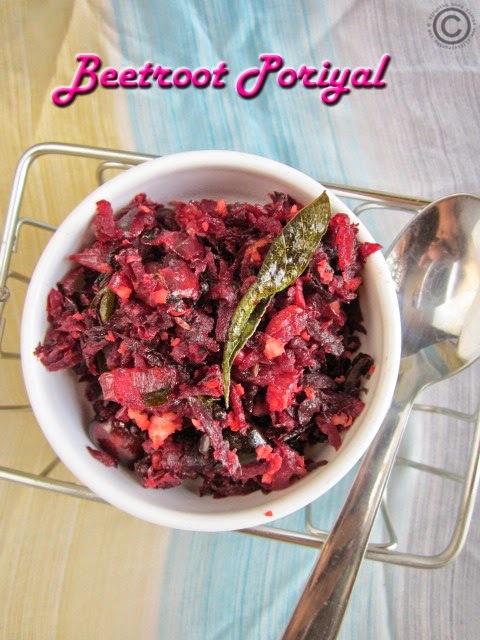 Now add grated coconut and mix it well and keep it on 2 minutes on high flame and then switch off the flame. 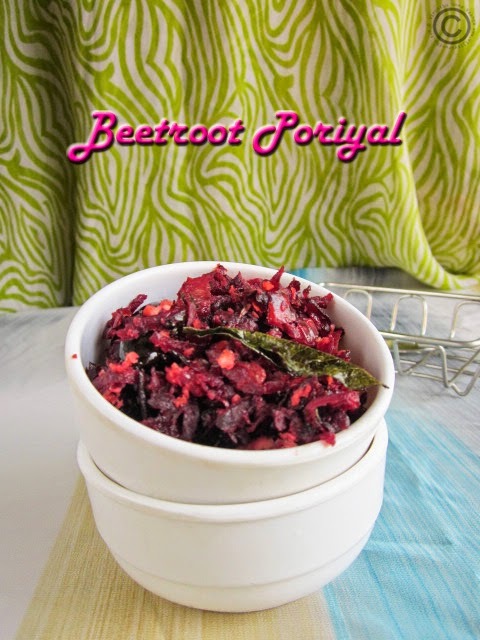 healthy, tasty and colourful poriyal. 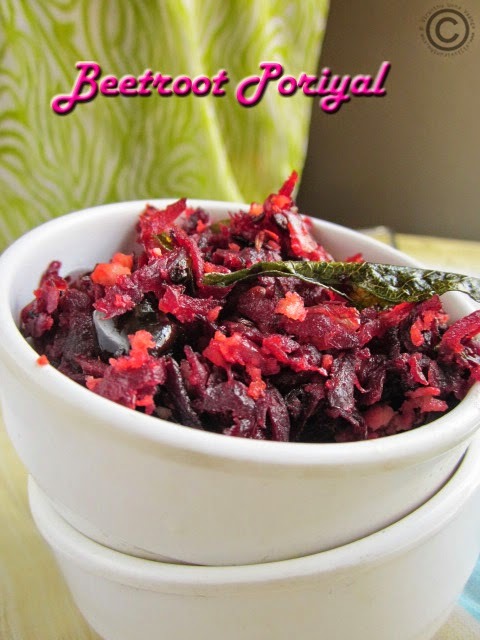 nice poriyal.. healthy and tasty. One of my favorite! Looks good! Just need a bowl of rice to enjoy with this healthy stir fry.